There's a car on its way to Mars! A red sports car has embarked on an endless road trip – to Mars. SpaceX’s new rocket Falcon Heavy is aiming for a solar orbit reaching Mars. Along for the ride in a piece of marketing brilliance is one of Elon Musk’s electric-powered Tesla sports car. 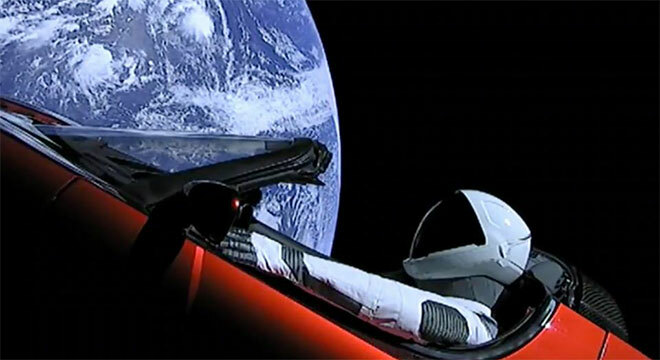 Watch the live stream of Starman’s trip here.